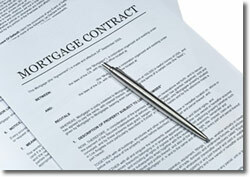 Are you looking for a new mortgage loan? We'd be thrilled to talk about your mortgage needs! Give us a call today at 305-598-1600. Ready to get started? Apply Here. Even if you haven't so much as researched houses to visit yet, it's advantageous to visit with your mortgage professional early. What for? It might be hard to fathom the way we could help even before you begin to negotiate. Our mortgage professionals can help you determine the loan amount you can qualify for and the mortgage payment amount you can afford by helping you pre-qualify. In the process, we determine your borrowing potential - looking at your earning status, money available for down payment, debts, income, and other circumstances. It is a quick, thorough process with minimal risks for papercuts. Once you are determined to be eligible, we document our confidence in your potential to qualify for a loan by presenting you with a Pre-Qualification Letter (also known as a "pre-qual"). Several benefits open to you when you find your next house, and have achieved pre-qualification. The first is that you can know the amount you'll be able to afford when putting together your offer. Even more important to the existing owner, your pre-qualification gives them certainty - as if you'd arrived at their home with a suitcase of cash to back up the offer! They won't need to wonder if they are wasting their time if you will not have the ability to qualify for a big enough mortgage loan. The seller won't be concerned that he can't count on you to qualify for your mortgage in the amount you will need.Your qualifying for the necessary loan amount will not cause them concern. You have the ability to back up your offer. We will help you calculate the loan amount you can qualify for and the monthly payment amount you can afford by helping you pre-qualify. In the process, we calculate your capacity to borrow - analyzing your job, available money for down payment, existing debt, income, and other areas. We will ask for a minimum amount of paperwork, and avoid a lengthy process. While you are able to try our mortgage calculators on this site, it will be essential to sit down and talk with us. For one thing, you'll need a Pre-Qualification Letter! Then, we will make sure we have the best mortgage loan program for your situation. Contact us at 305-598-1600 to get started. Have questions about pre-qualifying? Call us at 305-598-1600. Strock & Tanner Mortgage Corp. answers pre-qualifying questions every day.